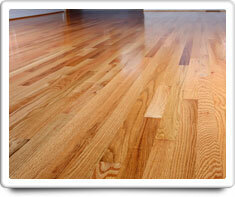 Hardwood Floors are a type of flooring made from natural wood. Hardwood Floors are typically constructed using long narrow boards, but Hardwood Floors can also be constructed with wide planks or patterns of squares. Water is the single greatest enemy of hardwood floors. Floors should never be scrubbed with soap and water, nor treated with cleaners containing water. Spilled water should be cleaned up immediately. Carpets & Rugs and Marble Floors. Shown in the 'Routine Care' section are the recommended routine maintenance tasks for your hardwood floors. The 'Q & A' section shows answers to common questions. And the 'Articles' section provides helpful articles about your hardwood floors.